The thank you page of the conversion process does not always receive the attention it deserves. In some cases its overlooked entirely. Not every lead is ready to make a purchasing decision. In fact, 56% percent of your market is not ready to buy according to research from Vorsight. Your thank you page helps continue your lead’s education while providing resources for when they decide to buy. 1. Build trust with your leads. According to a survey conducted by DemandGen, 97% of B2B buyers said they give more credence to content that includes peer reviews and user-generated feedback. Your thank you page is a great place to show some social proof through testimonials or promote your affiliate program to demonstrate how many companies believe in your product and enjoy working with you. To build trust with your leads, show testimonials that are closely tied to the thank you page's offer. Does a testimonial such as, "I really enjoyed working with this company because they are easy to work with." tell you enough about the company? Probably not. Show a testimonial that demonstrates a key result of your work that is also closely related to the offer. Don't overwhelm the lead with every last piece of feedback you've received about your work. Remember, we're building trust by maintaining consistency. Showcase testimonals (no more than five) that relate to the original offer and you'll set up your lead to consider working with you in the future. Another way to gain your lead’s trust is to confirm the conversion. They’ve submitted their information. Then what? Will they get an email from you immediately? Will you schedule a phone call? Reaffirm the next action they can expect from you in order to prevent miscommunication and confusion. 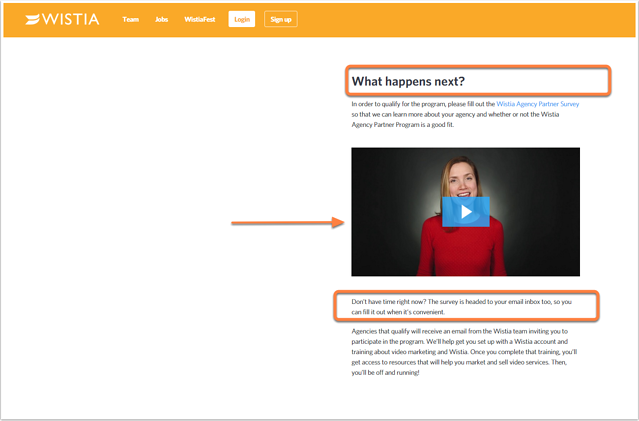 In the example above, Wistia uses the header "What happens next?" to keep their thank you page all about the next step for their thank you page. Their thank you page not only describes the next series of events: the lead will complete a survey to further their Wistia Partner application process, get an email with the survey and possibly get into the program. What's especially great about this thank you page is the video format of the same description. Let your leads choose to read or watch based on their preference! Whether you choose to include a testimonial (or five) or a video, by describing the next steps on your thank you page you can demonstrate your company's clear communication. Don't you enjoy working with companies that do what they say they are going to do? A thank you page is a good place to show that. 2. Allow the lead to learn more about your company's offerings. Depending on your buyer personas, and more importantly, the length of the sales cycle, you may want to suggest specific products on your thank you page. If your products are specialized or niche, a thank you page can be another asset to educate your leads about your products. Your lead just comleted a form; you have their attention. Now, provide more information to make good use of the thank you page space. Considering that it takes several marketing touches to close a lead as a customer, make your thank you page help continue the conversation. Here's how additional content can help on a thank you page: a lead has been researching a variety of electric and hybrid cars and signs up to receive more information. When Ford provides a specific electric car that's going to be available soon, they are helping the lead find more information. It might even be the exact car the lead was looking for! One thing that is likely: nearly all leads in this research stage are not ready to buy a car. Align your thank you page with your lead's needs and educate on what they've already shown interest in. 3. Provide a way for prospective customers to connect. A lead that's receiving an offer on a thank you page has demonstrated that your content offer was of interest. There's a good chance that they want further info. 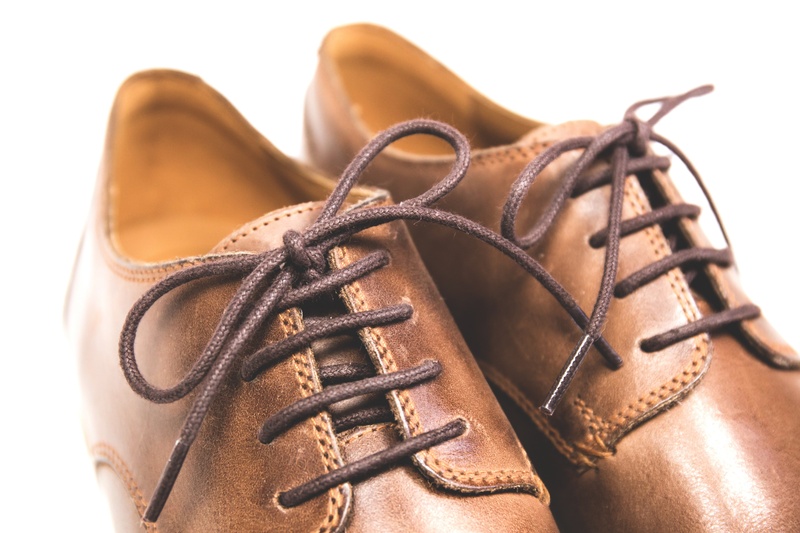 In addition to offering more content, allow the lead to connect with you directly. You can provide a way to connect on social media platforms or suggest that they subscribe to your blog or email newsletter. Use the thank you page to nurture the lead in the way they identify that they want to communicate. The thank you page can also be a location for collecting feedback. If you wanted to learn more about your leads from the thank you page, you could present a survey to the leads on the thank you page. Last, ecommerce marketers may choose to encourage account creation on the thank you page. This allows the leads to begin shopping, save shopping carts, and, of course, complete the checkout process. 4. Encourage exploration with a navigation menu. Many companies adhere to the practice of removing the navigation menu from a landing page. By doing so, the lead is encouraged to take only one action: fill out the land page's form. The lead won't get distracted and browse through your website. After filling out the form though, what if a lead wants to look at more of your website? Don't leave them at a dead-end without a navigation menu. Add a navigation menu to your thank you page. Allow the lead to explore topics of interest. 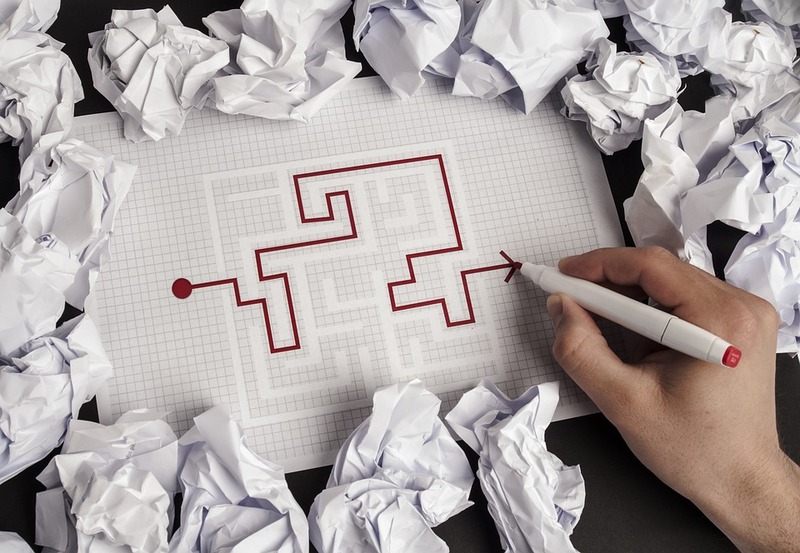 You still do not have enough info on these leads to place them precisely in the buyer’s journey. Give them navigational options and opportunities to learn more and reveal more about themselves. 5. Increase your ROI on each interaction. A simple "Thanks for filling out our form!" doesn't further the lead's education. What metric proves a thank you page's effectiveness? Page views? Sure, you might expect the page views would be a close match to the landing page submissions. Put your thank you page to work as yet another conversion opportunity on your website, rather than merely being a signifier for a lead that their form submission was successful. You'll improve the value of your thank you page from a simple 'thanks' to an asset that's assisting in closing the lead as a customer. Choose your CTA wisely. Don't overwhelm a lead with too many conversion options on a thank you page. 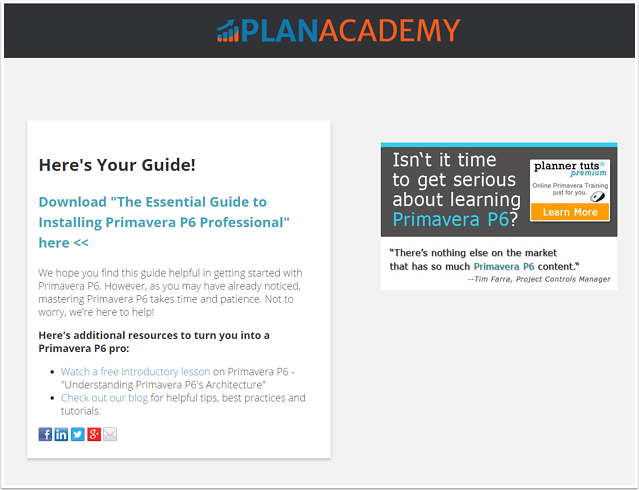 The thank you page shown above from PlanAcademy not only provides additional ways to learn about their product, but also has made the CTA the primary visual focus of the page. Without a CTA, there's a 0% chance for a conversion on a thank you page. Fix the thank you page ROI by adding a CTA! What is your most important element on a thank you page? Share your experience in the comments below.